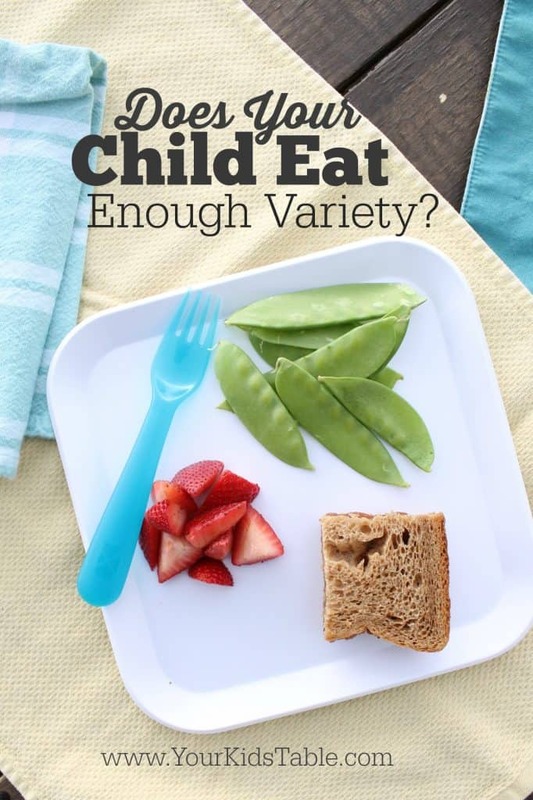 Does Your Child Eat Enough Variety? What is the biggest frustration parents usually have with picky eaters… The lack of variety! That is the very definition of a picky eater, right? Even parents that wouldn’t consider their kids to be picky eaters would usually prefer their kids to eat a wider variety of foods. How do you get your kids there though? Isn’t that the million dollar question? As an OT, and in my own home, it is a problem I have faced MANY times, and from all that experience there are two things I know for sure. First, your can’t (and shouldn’t try) to make your child eat anything. This is one aspect of their life where they are ultimately in control, although you will set up an environment to promote trying and eating new foods. Two, exposure to new foods is key to ultimately having them want to try new foods. Let’s talk more about why. I’m sure each and every parent and professional reading this know the most obvious answer to this question, which is to give your child a wide variety of nutrients so they can grow and develop to their full potential. While that is totally accurate, there is another reason that is equally if not more important. Without variety, kids are likely to become picky eaters. Let me quickly clarify that a lack of variety is often NOT the sole reason for picky eating, although it can be. There are many reasons a child may be picky, and you read about some of them here. Let me tell you about how I usually see this play out, and please know that as I continue there is truly NO judgement. This is not the blame game, after all you are here trying to educate yourself so that you can make improvements. 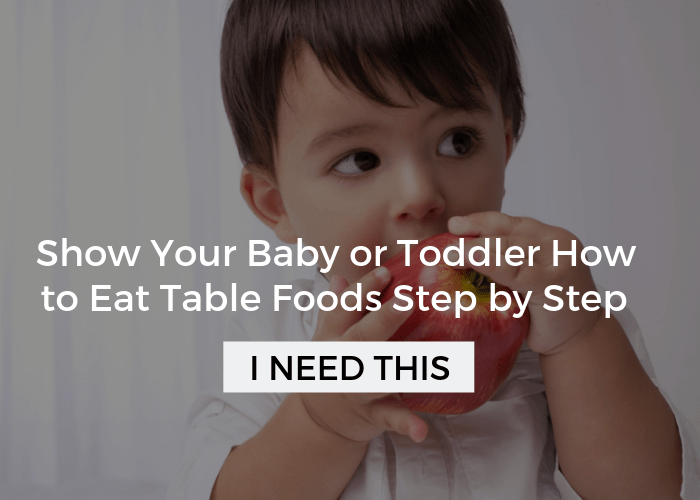 The most common pitfall is when toddlers or even babies begin eating they show some initial preferences. A toddler may throw the cantaloupe all over the floor or grimace at a bite of green beans. The parents quickly interpret that this means: my child doesn’t like________. And then, they never or sparingly give it them again. This limits what the parents present to their child to eat and thus opportunities for variety diminishes. Taking this scenario a little further, in between 1-2 years old, toddlers naturally become selective about what they are willing to eat. It can be nerve racking, and I do speak from personal experience! They are still too young to really communicate and parents worry much more at this young age about nutrition and calories. As a result, they start to tailor every meal to things they know their child will happily eat for peace of mind. Parents expect that this phase will pass and their child will begin eating other foods at some point, but that day often doesn’t come. It’s also common for parents to have the foods they normally eat (yes, the apple often doesn’t fall far from the tree) and they just don’t think to give them other foods. 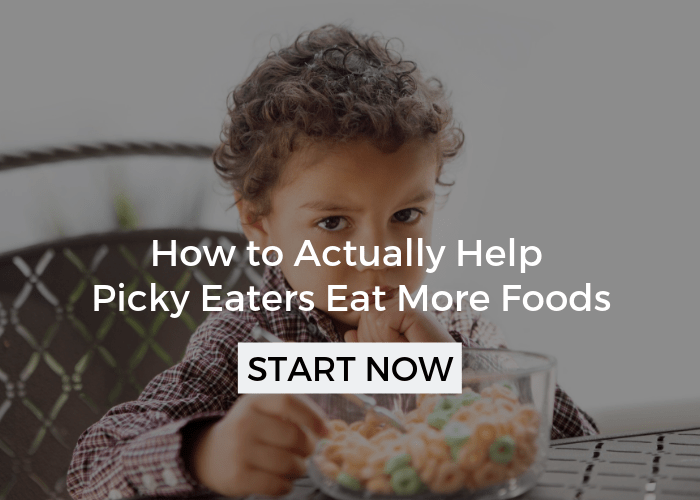 Of course, we all have preferences and we, and our kids, won’t like every single type of food their is, but, again, when a variety of foods aren’t offered it makes a child more likely to head down the path of picky eating. When to start offering a wider variety? NOW! No matter how severe your picky eater is or the age of your child, it is important to start taking steps to getting them exposed to different foods. I know this can be overwhelming to think about and depending on the severity of your child’s pickiness and their age, you may need to take baby steps and/or have a talk with them outside of meal times in a calm environment about some changes that will be made. It is critical that you note that I’m not suggesting that they need to eat this food, only that it is offered. If there is any objection when you begin to offer this wider variety of foods, all you need to do is state: “It is your choice if you eat it or not.” We don’t want them to feel pressured, that will defeat the purpose. How much variety is enough? If your child has to eat the same foods everyday or even every meal then I would recommend addressing the lack of variety, which will take more strategies than listed here (find more help by starting here). I aim for kids not eating the same food for 2-3 days (not including fresh fruits and veggies), increasing this variety may need to be a slow approach (see below). Generally speaking, at least 20 foods your child regularly accepts and eats, is a benchmark most feeding therapist use. 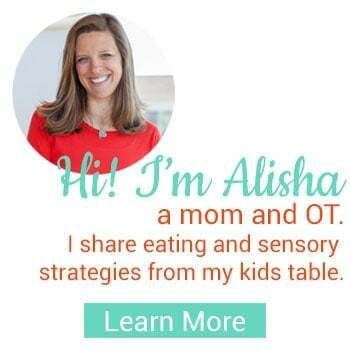 It is important to rotate through your child’s foods as much as possible, and not consistently serve the same foods if you don’t have to. If your child does have a limited diet now, I do NOT recommend going cold turkey with their favorite foods. This needs to be a gradual process. How to include more variety? 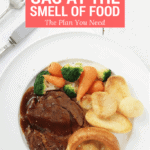 Family Meals – Plan meals, which you may need to do in advance with a menu plan (like this free one), that everyone can eat, even if it doesn’t make sense. 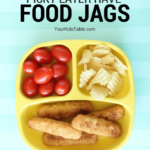 Think about including your child’s preferred foods into the dinner. If they love cheese, go ahead and have a side of cheese, but expect them to take foods they don’t prefer as well. 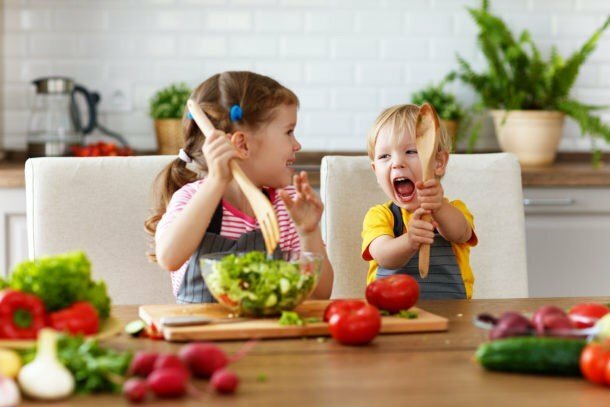 If your child has any notion that they have their “own” foods and the rest of the family has their “own” foods, then having some of “all” the foods will help them squash the idea that their food is separate from the rest of the family’s. And if you have a young child that is beginning to eat table foods, getting into the habit of serving foods you all can eat will be tremendously helpful in the future. Family Style – Have your children serve themselves. Bring the pots right to the table or put the food in the storage containers it will end up in anyways. 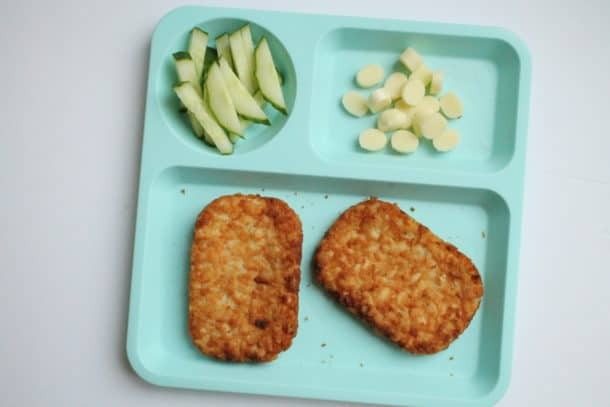 This gives children a change to interact with the food and also allows for a sense of control over their food. Read more about the benefits of eating family style here. Different Brands/Colors/Shapes – If your child is really picky, start by offering foods that are similar in color, shape, or brand. Or use the foods they like and cut it into different shapes, colors, and sizes. 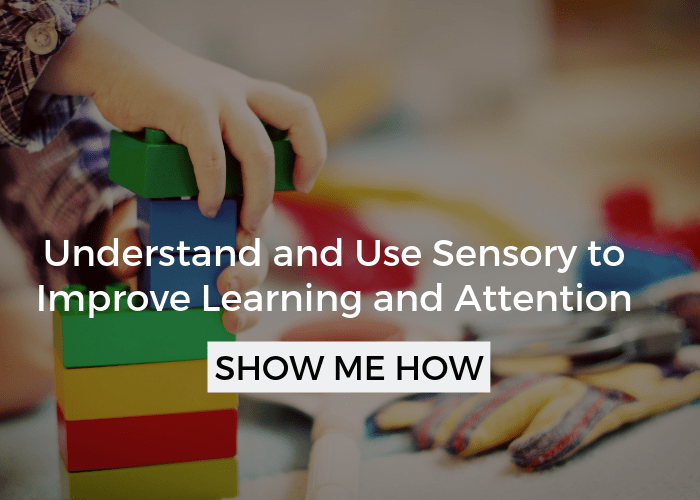 This connection will help them be more comfortable and willing to try. Small Amounts – Allow them to take just a small amount of food, even if it is just one pea. This helps cut down on waste, but also doesn’t overwhelm them when they see half a plate of mashed potatoes. Side Plate – If the thought of having the food on their plate is too stressful for them, ease them in by offering a small side plate or bowl. Divided plates work really well, too. Then, over time work towards them tolerating it on their plate. Don’t Get into a Power Struggle– There is tremendous value and power in your children seeing you eat a variety of foods and enjoying a meal in a positive environment around the dinner table. Don’t talk about or pressure your child to eat. Talk about your day or what your doing tomorrow instead. If they don’t eat it, that’s okay. You are laying the ground work for a healthy relationship with food and they will begin to trust you and feel comfortable around new or non-preferred foods. Read more about why and how to execute this no pressure environment here and here. Variety is sooo important, now you have some inspiration for offering new types of food, and some strategies for how to make it successful. 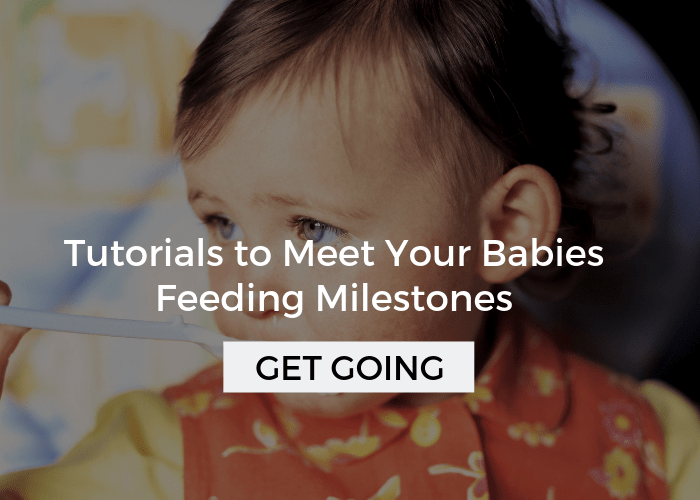 Let me know if you have questions in the comments and follow along with the weekly newsletter where you’ll get all sorts of feeding and sensory tips once a week. You’ll find the sign up box above the comments just below here! My 4 year old used to eat everything put in front of him, when he turned 18 months he stopped eating everything. He only eats peanut butter sandwiches or dino nuggets. He won’t even try anything else. We have tried the method of putting atleast one thing on his plate that he likes (and it ends up being snacks because there aren’t any regular dinner type foods he eats) but he refuses to even put it near his mouth. For some kids, that is just a starting point for sure. It sounds like he might need some other strategies. Have you seen my free picky eating workshop, or heard of Mealtime Works, my picky eating class for parents? You can check out the free workshop here. So far this website hasn’t helped my situation. My 20 month old won’t eat (only baby food) and throw’s everything else out. Do I starve him? Do I give him the one thing he likes “chicken nuggets” everyday for dinner? I don’t see the “what to do” section. Hi Sophia, I wouldn’t hold out on the foods he does eat. I’d give him a variety for sure. There are a lot of how to posts, including this one. we do family dinner several nights a week with my 5 year old and 18 month old. Uts pretty chaotic. My 5 year old is very picky and getting pickier by the day. He spits out a lot of foods saying he can’t swallow it. He is a very small guy, and I worry about him not gaining weight. We have tried the offering variety with at least one favorite food we know he likes. How long do you think we should be sitting together at the table. Many times he will eat a few bites and say he is full. I don’t want to pressire him but it does seem like he should need to sit with us to eat for longer. He would always rather play than eat. My grandson is 8 and eats nothing but gold fish,Doritos ,some cereals, the orange peanut butter cracker packs, cheese it’ crackers and only drinks ice tea!??? He can’t even sit next to food it will upset him so much he will start gagging. He’s been like this since he was a baby. He constantly clears his throat and seems to be lacking energy . My daughter tells the pediatrician but gets no advice. She doesn’t know where to begin ? Although she has an appointment with an allergist due to his coughing and periodically throwing up. Hopefully we can get some answers from chop and they can figure out what’s going on. Any suggestions on where to start would be appreciated. Thank you! I’d definitely look into feeding therapy for him (allergies could be an important key too). Head here to learn more. I also have a free workshop with my key strategies, I think these are really important and can be total game changers. Check it out here. Thank for addressing this out. I’m totally agreed with you on this. Although, it’s not a bad thing to eat the same foods in 2 – 3 days, why not spend a bit more time to change the foods for variety. It is healthier and provides more nutrition for my kids. Oh yes, of course, Catherine! I totally agree, 2-3 days at a minimum. So many parents are struggling with not serving the same food two days in a row, I’ll have to make a note above that this is a minimum! This is such good advice! You offer a wealth of information for young families and I wish I would’ve had these tips when my boys were little. Thank you! Thank you so much Amy, what a lovely comment. I really appreciate it!